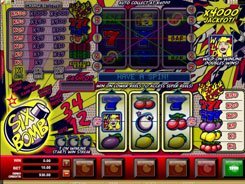 This game is part of the Retro Reels series from Microgaming that combines a classic style and a modern gaming action that will definitely match your style and winning expectations. 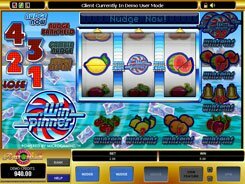 The slot has 5 reels, 25 paylines, scatters, free spins and a reward-boosting respin feature. The symbols are single, double and triple bars; cherries, sevens and dollar signs. The minimum and maximum stakes are $0.25 and $125, with all lines enabled. 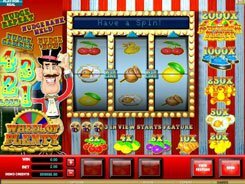 Three or more scatter symbols unlock up to 25 free spins with all payouts multiplied by x2. 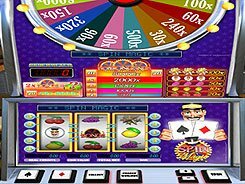 During the feature you can pocket a stunning 440,000 coins if betting max coins per spin. Furthermore, a scatter pays out independently of other symbols. 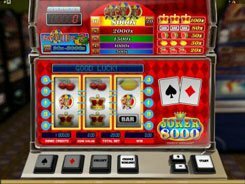 Hit 2 to 5 scatters anywhere on the reels and take a win of up to x100 times your total bet. 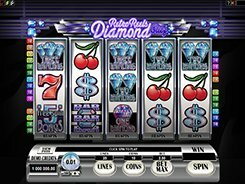 In a normal game, the largest fixed jackpot up for grabs is $50,000 for landing five Diamond Glitz logos on a payline. 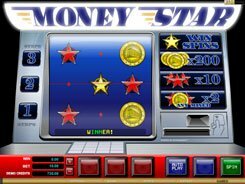 The slot boasts a unique Respin feature enabling players to respin any single reel in an attempt to create a winning combination. The cost of respinning is variable and is shown below each reel.